Welcome to 2000’s. Through the 2000’s, we’re going to see a mixture of new cuts, colors, and styles. But, there’s one thing for sure, while the hairstyles may continue to change, this industry continues to grow and develop with it! Goodbye crazy hairstyles from the ‘90s and hello to Beyonce’s wavy, honey blonde, hair! 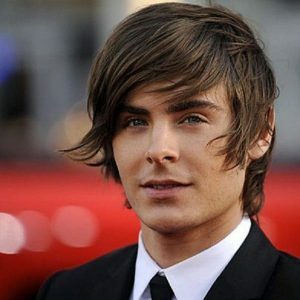 This haircut, as seen worn by Zac Efron, with long layers all over the heard and a razored cut around the edges, gave a beach look that was effortless. In a way, the strong, stand-alone highlights, jumped out at you with a bold punch and to this day, they still make a statement. Achieved by dying the tips of the hair with a lighter color to add an additional dimension to the look. This look used hair sprays and gels to create spikes. Jennifer Lopez rocked these curls on the red carpet in 2002. These curls are an ode to Shirley Temple herself! 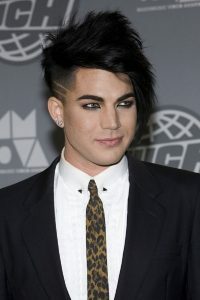 Mostly known by Pete Wentz, Fall Out Boy’s own “Emo Cut” enthusiast, this cut (seen below on Adam Lambert) is a trend that was characterized by long razored bangs, black dye, and rough texture. Wearing your hair past your shoulders was exactly what you wanted to wear this year! By either clipping in extensions, bonding, or going natural, you surely wanted to wear your hair with a long length. 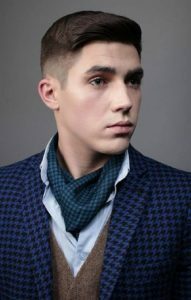 By cutting the sides shorter and leaving the middle top longer with pomade to help style, this look was a top trend. Pull out the pieces of baby hair around your face and wear your hair up or down- this was the best way to shape your face as Jessica Simpson clearly shows. 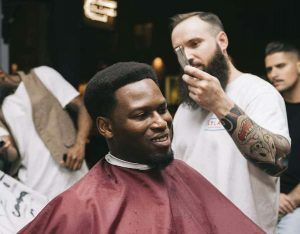 The buzz-cut is a style that seems to come and go but this decade, thanks to the low maintenance and cost-effective cut, it seems to be buzzing. Soft layers, highlights, and Reese Witherspoon! What is not to love?! Taylor Lautner’s shortcut is an example of the casual look that requires a short textured cut and styling tools. 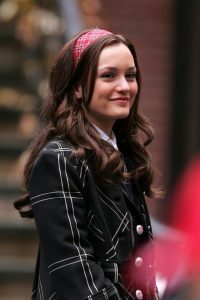 Who remembers the ignited headband craze that was all thanks to that of Gossip Girl’s very own Blair Waldorf? 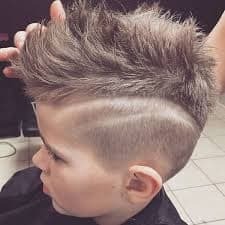 Design cuts began to trend with the shaving technique that involved intricate designs and skill to execute these styles. 2007: (Women) The higher the hair.. Wearing your hair teased to the heights was brought forth and made popular by Jersey Shore’s Snooki. 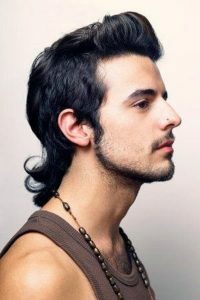 While it may not be the mullet many grew to know, the emergence of this subtle mullet style was a better blend of the shorter hair and longer length in the back. While he may be the reason for the teardrops on your guitar, Taylor, he surely inspired you to show him who you are with your signature 2008 ringlets. 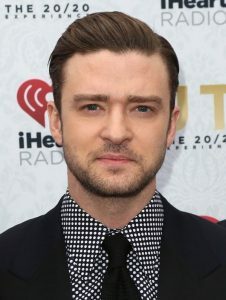 Spotted often in 2008-2009, this shaved skin tight on the sides look with a strip of hair forming in the middle of the head from the forehead to the base of the neck was worn as a statement look. Kim Kardashian was one of the first to introduce the big-barrel curls for a softer more natural curly look. 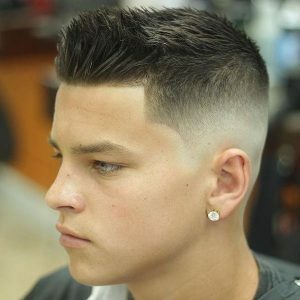 The classic taper haircut was worn by placing a decent about of styling product in your hair with a neat side part. A classic look that pulls everything together to make any man look “business” ready. While some may have used their own hair, like Carrie Underwood with this French braid, hair headbands (Pre-made) was the perfect match to go with those natural barrel curls. 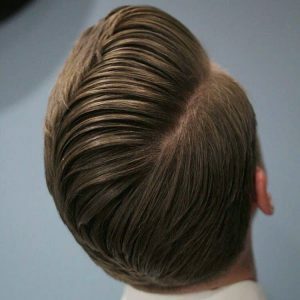 Applying gel and brushing the hair up, this look is first achieved with the sides of the head being shaved and leaving the long hair on the top. This dip-dyed ombré was a simple way to blend the hair with a dyed look that you’d always desired. 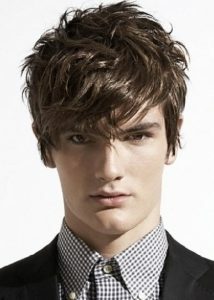 By growing out the bangs long and sweeping them forward, this look was achieved and still seen being worn to this day. Brought back to the world of fashion, Cara Delevigne rocked the dressed-up messy bun look and pulled out wisps. 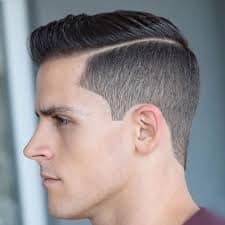 This modern classic look is slicked back through the sides instead of following through all the way to the back of the head. The epitome of a businessman. Lob- while it may sound odd, long bobs, LOBs, was the medium-length cut of this year. 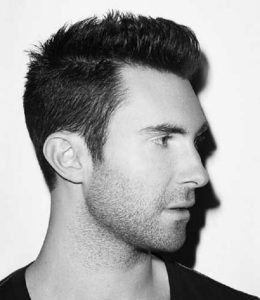 With a point cut and scissors on the top, the hair on the sides and back are cut/shaved to achieve a shorter length. Brown+ Blonde= bronde. A more subdued iteration of the ombré, this is how brunettes brighten things up without having to dye their hair completely. 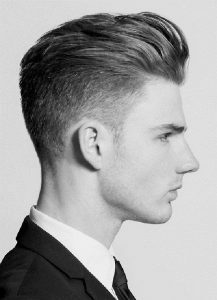 The buzzed sides and comb technique on top with the longer hair brings back a nostalgic feeling with this cut. While it may look like the topknot, this half-up look with a bun, was an effortless way to wear your hair up and still look chic with some pretty down curls. 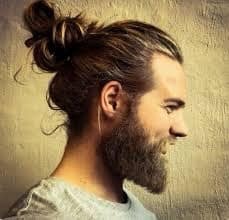 This look was all the rage and even brought forth a “fake” man bun for men to clip into their hair. Needless to say, it was a simple look for men with long hair. 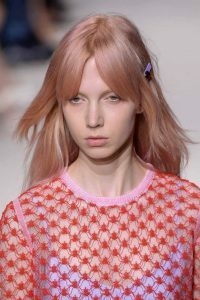 Adding some pastel colors to the hair is an easy way to add color to your life without going too bold. 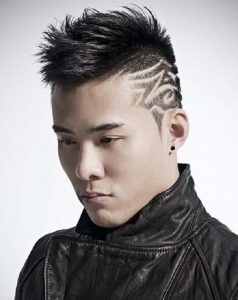 With a little bit of gel and a faded cut, this look was highly desired and easy to maintain. Influencer, Cara Delevingne, and stars like Katy Perry switched up the style by going for a silvery platinum blonde look. Sometimes, this look could be seen paired with the pastel hues of ’16. A bit of a change from the beginning of the afro rage, this ‘fro look is a bit more tame and controlled. Chic and cool- slick your hair back, secure with a hair tie, add some spray, and go about with your day. With medium length hair, all the way around, a side part, this look is easy to achieve by using some product and a comb to brush the hair to the sides and toward the back. For 50 years, we’ve been through it all and we’re not stopping now. See yourself fitting into the legacy of Kenneth Shuler? Click on the “Locations” tab and find the location nearest to you and give our admissions team at that campus a call to set up an appointment today!